← Will Apple Take Augmented Reality Mainstream? Musical.ly is probably the first Chinese-created social app to penetrate the United States and has managed to operate independently of the Four Horsemen (Amazon, Apple, Google, and Facebook). Musical.ly has demonstrated how to capture and engage the attention of Gen Z, the cohort of digital natives that is growing up mobile and app savvy. The app has become a multimillion dollar powerhouse even though many casual observers have absolutely no idea what anyone really does on Musical.ly. Musical.ly has often been described as a “lip-syncing app,” and indeed, the app permits its reported 60 million users to record elaborately staged lip syncs. But Musical.ly is a lot more than that. With its attendant app, Live.ly, Musers can broadcast livestreams of themselves hosting amateur shows where they engage with other Musers for hours at a stretch. Musical.ly is really a proving ground for digital natives to learn how to become self-made brands. The livestreams and lip syncs create ways for teens to figure out the art of engagement. We all like to sing along with our favorites songs, dance, and do a little air guitar. Some of us are better at it than others. Musical.ly gives every performer an even playing field. By liking each other’s performances, you can reward the best ones, who can go on to be featured and become real self-made celebrities, such as Ariel Martin (@babyariel), a 16-year-old entertainer who started out on Musical.ly before achieving renown in publications such as Forbes, Fast Company, and Time for her digital presence. But even if you’re an awkward lip syncer (as I am), you can have fun posting those little inspired moments of the day. And if you want to elevate your game, you can learn from the more experienced Musers, who have elevated lip syncing to an art form through skillful editing and creative storytelling. Musical.ly is the perfect platform for digital natives to master all the tools of creating a personal digital brand. As breakout names such as Ariel Martin and Anna Zak demonstrate, sometimes Musers become bona fide stars. But even more importantly, Musical.ly gives digital natives a way to learn skills such as short-form content creation, visual storytelling, and audience engagement, which are crucial to building a personal brand in any communications field (arguably any field). Musical.ly gives performers a platform to showcase their creativity through lip syncs similar to how Snapchat and Instagram are platforms for visual storytelling. Live.ly streams create an excellent way for Musers to learn how to engage an audience for extended periods of time. In addition, because Musical.ly is so well connected with other apps such as Instagram and YouTube, experienced Musers can learn the art of cross-promoting their other socials easily. But the livestreams serve a purpose. The only way to get good at learning how to engage an audience is to spend time with them. Naturally, the more time you spend hosting a livestream, the greater your chances of experiencing moments of unfiltered awkwardness. But Musical.ly is Gen Z’s world. If you don’t like it, stay out. The more experienced amateur Musers mix humor, personal storytelling, and an ability to keep a one-way conversation moving, sort of like good telethon hosts know how to do. 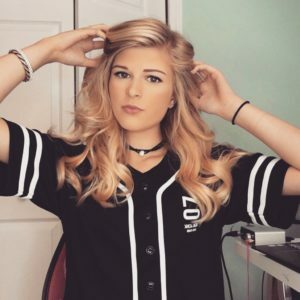 Katelyn Butcher, for example, is a 16-year-old Muser with close to 391,000 fans, crown status (granted only to verified users and celebrities), and a presence on Instagram, Snapchat, and YouTube. Her livestreams are upbeat and life-affirming, as are her songs. She skillfully engages viewers with contests that encourage interaction. What happens next for Katelyn Butcher in the fractured music industry is anyone’s guess. 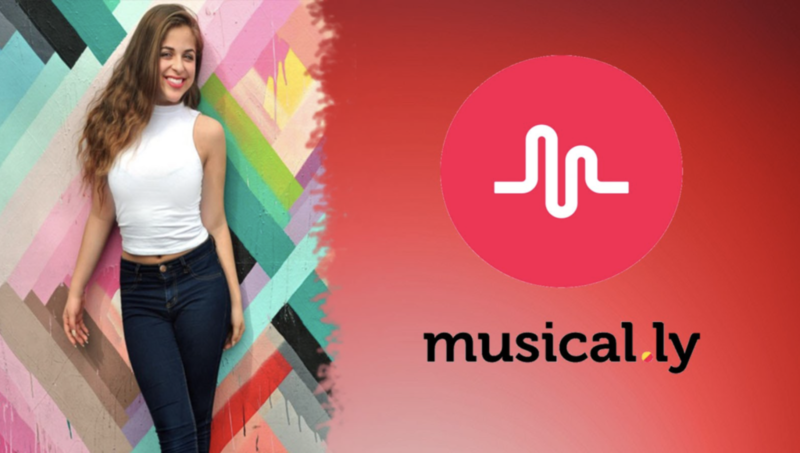 But regardless of what the future holds for Katelyn Butcher, Musical.ly is a platform for her to cultivate a skill that will serve her well: using digital to make her mark. This entry was posted in Music and tagged Anna Zak, Ariel Bartins, David Deal, Katelyn Butcher, Kateyln Butcher, Live.ly, Musical.ly, Superhype. Bookmark the permalink.